Win an iPad with Catalyst IFG! Here at Catalyst we have become quite specialised (and quite good) at Single Invoice Factoring. In fact in July we completed our fastest deal for an existing client. The invoice was submitted for funding at 11.30am and cash was in the client’s account at 2.00pm the same day. So that’s our new target –2½ hours from start to finish! Catalyst survives on introductions and we are happy and proud of the large number of professional firms and other finance providers and advisers who are already recommending us to their clients. We want to say thanks to them and hopefully encourage others to give us leads as well. So we will be handing out iPads to all our introducers over the next two months. Like everything we do, the rules are simple. 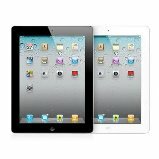 ..If you introduce us to a client between now and the end of October 2011 and we are able to complete a deal which involves factoring a minimum of £50,000 of invoices for at least a month then we will send you an ipad2. It will be sent to you as soon as the invoices have been paid. Key features? It’s just like traditional invoice factoring but…. Above all it gives businesses unprecedented control over cash flow – it’s like a tap which can be switched on and off according to the actual day to day cash needs of clients. A Company in Exeter with a long history and good client base had run into difficulties. The bank was supportive to a degree but the account had been transferred to “special measures”. The business was struggling to recover and was being starved of cash. The bank could not extend more facilities and frequent returned direct debits and bounced cheques were incurring massive fees and unauthorised overdraft charges. After a short review we were satisfied that the business was not only fundamentally sound but had a great customer list and strong customer relationships. All our “one-off” agreements were put in place within a few days but there was a delay before we could actually start helping while the bank looked at its position. Clearly we couldn’t do anything without a debenture waiver from them.Once the waiver had been granted we moved very quickly and started buying invoices within a couple of days. We now hold more than £200k of high quality invoices at any one time and will continue to support the business for the foreseeable future. The Company’s FD commented: “Catalyst IFG’s Single Invoice Factoring product has proved to be a really helpful and flexible solution giving us the breathing space we needed to tackle the internal issues. Without this it is hard to see how the business could have turned itself round. The fact that the facility is there only for as long as the business needs it means we have the flexibility to cut back and then stop using it as soon as we want to”. 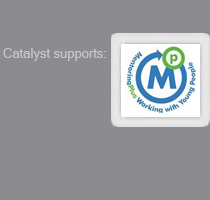 To finish – If you are thinking of making an introduction and are not sure it will work for Catalyst then please just give me a call and let’s talk it through. If I can help I will and if not I will tell you straight away and let you know if I can think of an alternative solution. I like trying to solve problems! 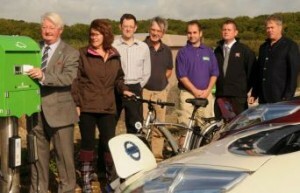 Stewart McKee, Green Motion managing director (far right), watches on as Councillor Peter Finney MBE, the portfolio holder for Dorset Highways and Transportation, opens the authority’s new Green Motion electric vehicle charging stations, in Weymouth. Catalyst Venture Partners (CVP) has signed an exclusive agreement to advise Green Motion (UK) Limited on its entry into the rapidly growing UK market for electric vehicle charging infrastructure. Richard Turner, CVP managing partner says: ‘The move to electric transport is now well underway. For widely documented reasons of dwindling oil reserves, desire for cleaner cities and future energy security, electric car charging infrastructure is becoming a mainstream mass market. In 2011/12 major car brands such as Nissan, PSA, Citroen, Mitsubishi, Renault, Ford, Toyota and VW are all launching affordable electric vehicles, which is driving municipal and private sector growth in charging infrastructure investment. By 2015 there will be 100,000 recharging stations fuelling 300,000 electric vehicles in the UK. Green Motion has developed a new generation of charging post infrastructure, which paves the way for many innovative and essential carbon reducing technologies. Fully GSM networked and powered up with more enabling microprocessor technology than a PC, the Green Motion devices have the unique distinction of being the only UK charging points to connect electric cars directly with renewable electricity, from wind and solar sources, giving electric car owners the ultimate green credentials. The same technology also sets up vehicle to grid load balancing and micro generation ‘feed–in’, which allows energy generators to rely more on renewable alternatives without risk of supply interruption. Green Motion has invested £500,000 into a two-year product development programme with a key focus on energy and mobility. Green Motion smart charging networks are presently operating in several locations in Switzerland, including Ecole Polytechnique Federale de Lausanne (EPFL) – one of Europe’s leading technology institutions. Green Motion (UK) Limited has exclusive technology IP, manufacturing and management expertise. Having established its credentials by winning a prestigious contract to install infrastructure to support the 2012 Olympic sailing event in Weymouth, the company is looking for investment to quickly scale up its UK operations. GreenMotion is an independent electronic device manufacturing, integration, and software development company. Its vision is to encourage the use of clean energy sources, by becoming Europe’s leading developer and manufacturer of electric vehicle charging stations. The company also has exclusive partnership agreements with innovative electricity retailer Green Energy (UK) Plc and energy management software specialists Smart Grid Technologies Limited. Banks saying no? Find another way! In the past few months we at Catalyst have become increasingly frustrated by the number of good businesses and business projects that have been unable to raise finance. The venture capital community and the banks have raised the bar on returns and risk aversion to the point where only blue chip projects and companies can get funding. In our search for new funds we have developed a relationship with a Japanese based group that seeks to access Japanese savings from individuals and companies to provide long term loans to companies and development projects. These funds are provided as a type of Bond which typically carries an 11% interest rate payable quarterly in arrears. The capital is repayable after five years. Security is a debenture against the company not assets so it is effectively a form of cash flow lending. This product offers a great source of funding for established companies wishing to invest in projects with a hurdle rate of interest of about 20%, and for early stage companies who have contract backed revenue sources such as energy and recycling companies. It can also be used for property development and finance companies. The main benefit is that the funds can help your business to grow and we are pleased that we can offer an effective, alternative way of raising finance. Please see the finance section for more information or if you would like to know more please give me a call at 01225 331498 or drop us a line at hello@catvp.com. Catalyst is pleased to announce a partnership with a Japanese based financial group that is able to create structures to raise new loan funds for business projects in the UK. The Japanese / UK consortium offers the opportunity for private and professional investors in Asia to participate in, and benefit from, the development of new projects and the expansion of existing businesses in the UK and mainland Europe. The deal comes after a concerted effort on Catalyst’s part to find new sources of capital finance for UK growth companies that are struggling in the current economic climate to access traditional sources of loan finance from banks and other institutions. The minimum size of Bond is £2.5m. There is no maximum. •	Media, Healthcare, and Technology companies with a strong trading history. For more information please contact Richard Turner on 01225 331498. Oil Studios has become part of the portfolio of Catalyst Venture Partners. Oil Studios is an award winning digital media company spun out from Oil Productions Ltd. The Hoxton based company has created a software technology that enables intellectual property such as a product brand, TV programme, a book, or any “big” concept to be exploited and monetised across different platforms such as TV, Online and Mobile. Oil’s market space is at the cutting edge of digital media convergence where social media meets games; entertainment meets interaction; TV meets iPhone apps and multi-player on-line games. Oil’s formats have to date been funded by broadcasters and brands. ‘Routes’ won the equivalent of a digital ‘Oscar’ from the British Internet and Multimedia Association for ‘cross-platform’, funded by Channel4 and the Wellcome Trust. For more information contact Richard Turner on 01225 331498.